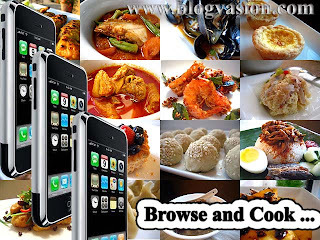 Home Web Applications BigOven Recipes On Your iPhone - The Guarantee Of Various Foods! BigOven Recipes On Your iPhone - The Guarantee Of Various Foods! BigOven, a website specializing in recopies has unveiled iPhone adapted website. It provides with over 160,000 recipes from around the world. So iPhone consumers are guaranteed to have various delicious foods! Website is still in beta, but its search is very quick and you can find pretty much anything you have ever wanted. "Now, if you’re at the grocery store, and don’t know what ingredients you need to make Quiche Lorraine, simply visit "BigOven.com slash M" on your mobile phone. You can also enter general search terms like "easy breakfast eggs" or ingredients from your fridge, and get some great suggestions," - said Steve Murch, CEO and Head Chef of BigOven.com. But there is another recipe website for iPhone www.101cookbooks.com, which also offers iPhone consumer various food recipes. 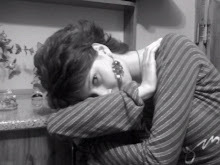 "The day when I can actually browse this website from my cell phone is finally near. I'll be able to load ingredient lists while strolling the aisles of my favorite markets. I'll be able to tap the 101 Cookbooks recipe archives for inspiration from my car (parked, of course) on the fly. All the recipes you've seen over the years on 101 Cookbooks are now formatted to be searched, browsed and viewed on the iPhone," - says Wayne, 101 Cookbooks consumer. So never mind, iPhone consumers seems to get great cooks in the future.